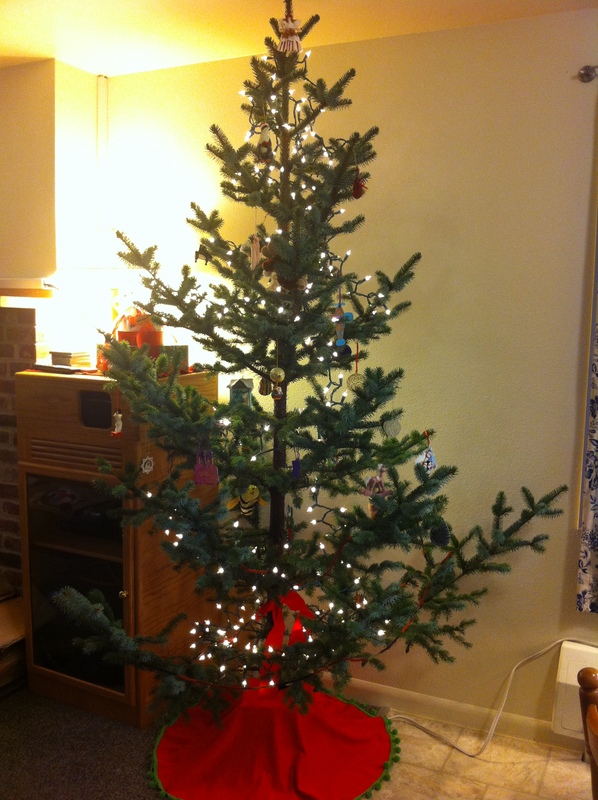 This is our Christmas Tree! 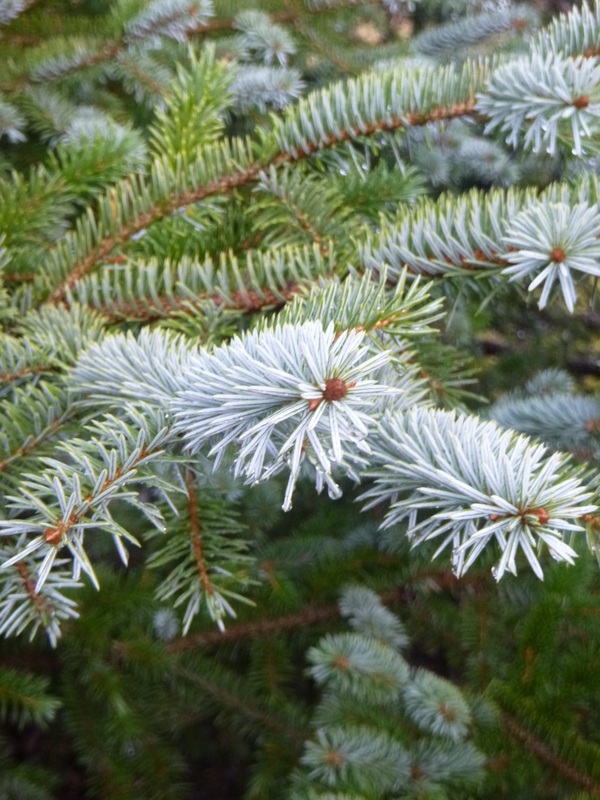 We named him Nigel, in honor of our Florida Christmas tree, Norbert, which was a potted Norfolk Island Pine. 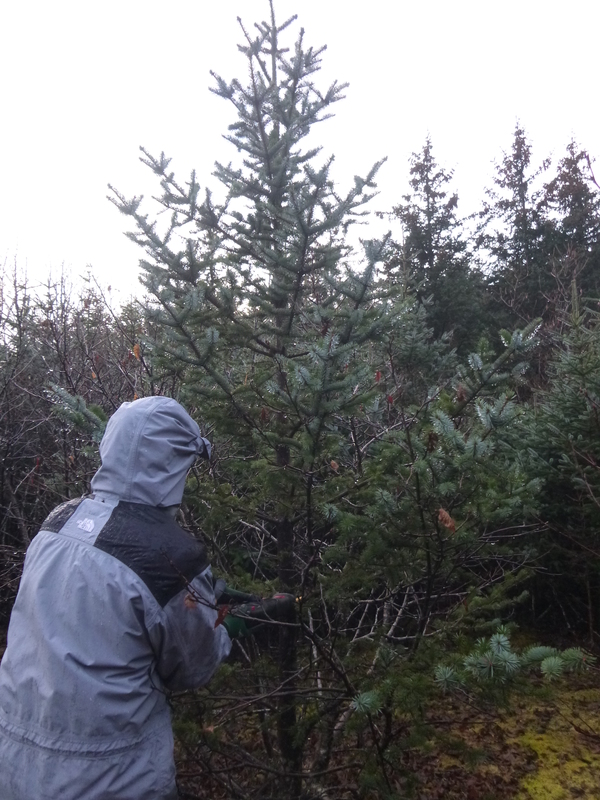 Nigel, however, is a legitimate Sitka Spruce, real “live” Christmas tree. We figured that as a local renewable resource, Nigel is less of a strain on the environment than an imported potted plant purchased at Wal-Mart. 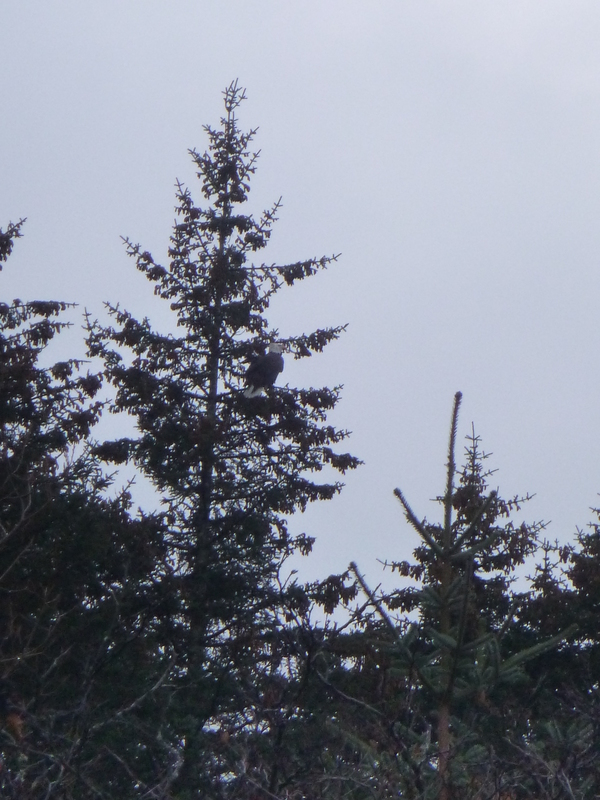 We legally cut Nigel near the Buskin River, under the baleful watch of a bald eagle, in the shadow of Barometer Mountain. Well, there would have been a shadow if there had been any sunshine. Nigel is currently adorned with lights and decorations and is sitting in a brand new tree stand purchased at the thrift shop for $5. We think he is beautiful and are delighted! 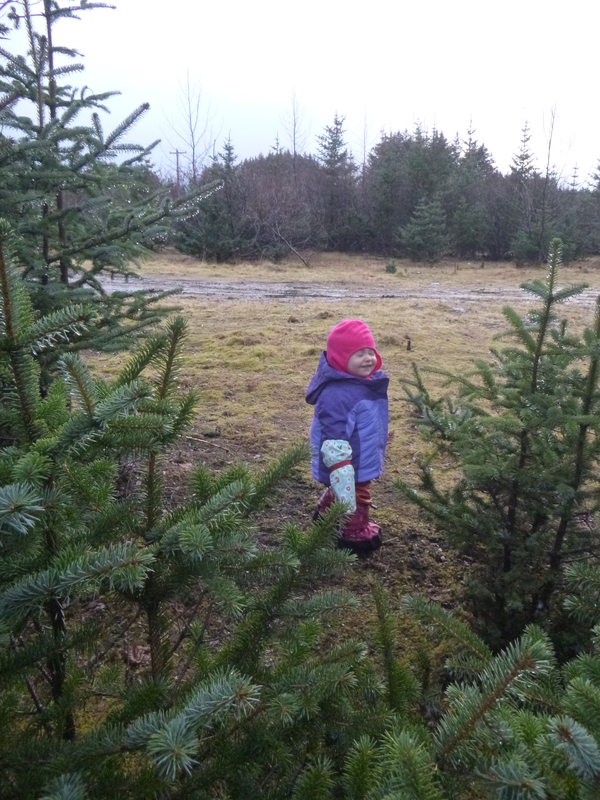 Allison isn’t too keen on the low branches as Sitka Spruce needles are sharp, but she is learning to walk around the tree instead of into it.